Ozzy Osbourne et sa famille pourraient perdre leur maison, le fisc américain leur réclame £1 million pour des impôts impayés..
L'ancien chanteur de Black Sabbath et sa femme Sharon n'auraient pas payé leurs impôts depuis 2 ans. Le couple possède plusieurs propriétés à travers le monde, mais semble avoir été touché par la crise. Sharon a commenté sur sa page, Twitter.com/MrsSOsbourne "On ne peut se fier qu'à soit même. Il faut gérer ses propres affaires." Has it really been 30 years since we were all so dramatically introduced to Ozzy Osbourne the solo artist? Well, the reissue of the Blizzard Of Ozz and Diary Of Madman albums by Legacy Records tells its own tale. They come together in a collector’s edition box set with a bonus live CD. Now happily restored to their original state, both albums are still outstanding, and has Ozzy ever really matched these masterworks? This is due out at the end of May, by the way. Il y aura un cd live pour CHAQUE réédition. Sortie fin mai. Le documentaire 'God Bless Ozzy Osbourne' est produit par le fils d'Osbourne, Jack, et par sa femme Sharon. Jack Osbourne a assisté le 8 juin à une avant première en Angleterre: "J'espère que vous aimerez le film." Le film retrace tous les aspects de l'enfance d'Osbourne à Birmingham, l’histoire de ses parents, ses sœurs, sa première femme, ses enfants, toutes les années Black Sabbath et sa carrière en solo. Le film aborde aussi les combats du chanteur contre l'alcool, la drogue: "j'aurais dû mourir au moins 100 fois. Je ne me rappelle pas des années 80. Rien." Âgé de 60 ans, Osbourne est maintenant sobre, et heureux d'avoir son permis. "Quand j'ai eu du succès, j'ai acheté des armes, des couteaux, une moto. Mais je n'étais pas capable de conduire, maintenant oui!" This August, audiences across the country will get an unrivalled look into the mind of legendary rock icon Ozzy Osbourne in 'God Bless Ozzy Osbourne', an exclusive in-theater event that will be broadcast to movie theaters nationwide on Wednesday August 24 and Monday, August 29 at 7:30 p.m. (local time). 'God Bless Ozzy Osbourne' is the first rock documentary to tell the story of a major icon's torturous and emotionally fraught journey to sobriety, which Ozzy regards as his greatest accomplishment. 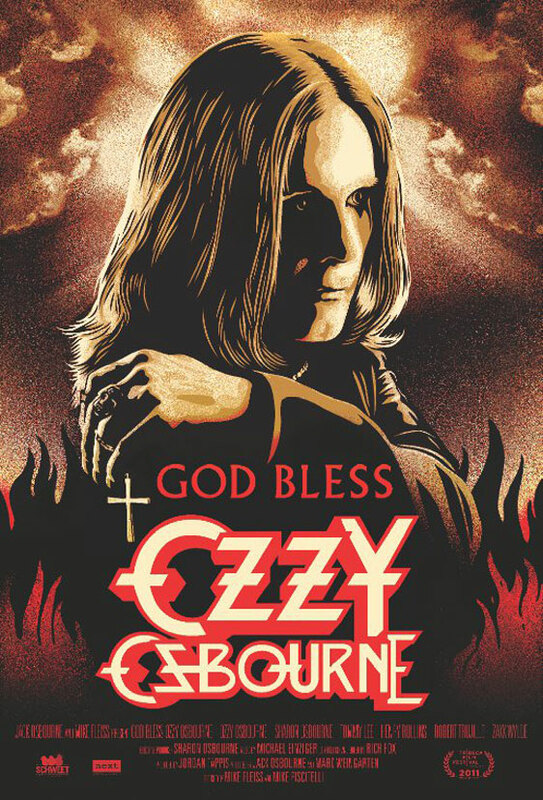 Featuring interviews with his brothers and sisters, as well as Jack, Sharon, Aimee and Kelly Osbourne, 'God Bless Ozzy Osbourne' is a film about the intoxicating rush of success and the redemption that comes from pulling away from the very thing that made you successful. Featuring never-before seen Black Sabbath footage and recent solo tour clips, fans are set to enjoy an incredibly unique experience, by producer and son of the Prince of Darkness himself, Jack Osbourne. Including interviews with Sir Paul McCartney, Motley Crue's Tommy Lee, Henry Rollins and others, 'God Bless Ozzy Osbourne' is the first documentary to take viewers inside the mind and psyche of a legendary and timeless cultural figure. Ce doc est magnifique en tous points. Précis et émouvant à la fois, il renferme des anecdotes croustillantes sur le parcours du Madman. Je ne vous en dirai pas plus car il faut tout bonnement vous le procurer. Je ne vous en dirai pas plus car il faut tout bonnement vous le procurer. Ca y est. Notre Philou est devenu agent d'Ozzy. Pour comprendre Ozzy, une entreprise de Machester qui s'appelle Athernet a solutionné le problème via une application iBrummie qui traduit l'accent de Birmingham en un anglais que seule la Reine serait en mesure de tolérer. La voix du traducteur est celle d'Alan Dugmore (65 ans), un habitant de Birmingham. Cette application sera disponible le 19 décembre. 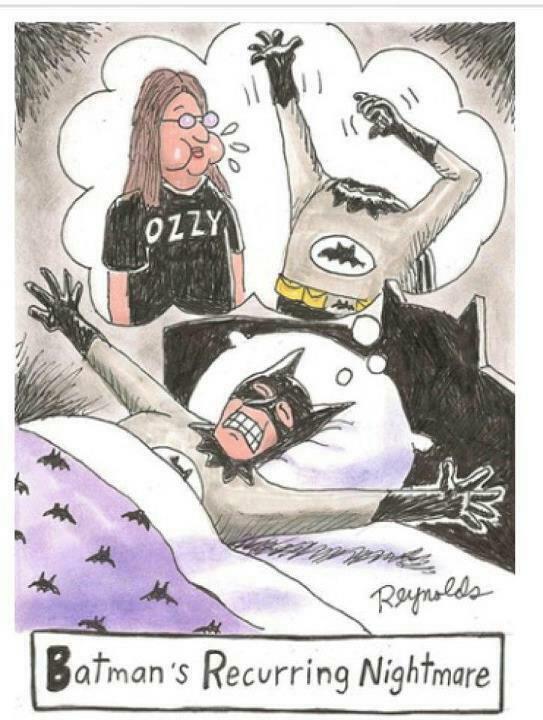 Do you have trouble understanding Ozzy? Well, that problem has now been solved. So, now Ozzy will probably sound ultra posh. You can can get the app for iPhone and Android from December 19. Il faut considérer ce doc comme un descriptif intime du parcours du Madman, parcours que la plupart d'entre nous, nous connaissons globalement bien et non comme une biographie sans âme du mythique chanteur du Sab. Réalisé sous l'impulsion de Jack, son fils, je pense qu'il faut l'aborder en tenant compte de la volonté de ce dernier de dresser un portrait VRAI de son père qui, selon ses dires, n'a pas été souvent au RDV pour ses enfants. Ceux-ci le lui reprochent tous à différents moments et Ozzy s'en trouve être conscient voire même affecté sur la fin du doc. Malgré toutes les failles de son père, on sent chez Jack un désir de montrer à son chanteur de père qu'il l'aime par dessus tout. L'essence de ce document se trouve ici, enfin du moins, je le perçois ainsi. Je vois cela comme un acte d'amour d'un fils à l'égard de son père. Sortie d'un album live sobrement intitulé Ozzy Live qui, à mon sens, n'est autre qu'une réédition du Tribute paru en 1987. 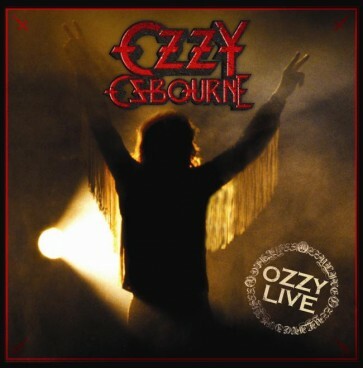 Ozzy Osbourne - who served as 2011's Record Store Day Ambassador - will again support the day's fifth annual celebration with two releases: "Ozzy Live", a double LP set taken from 2011's "Blizzard Of Ozz"/"Diary Of A Madman" 30th Anniversary Collector Box, and a seven-inch live version of "Diary Of A Madman"'s classic Ozzy track "Believer". Both are limited-edition, numbered vinyl editions which contain never-before- published archival photos. For the first time ever, a vinyl version of the "Ozzy Live" CD - recorded on the "Blizzard Of Ozz" tour - will be released as a stand-alone title and issued on 180-gram vinyl. 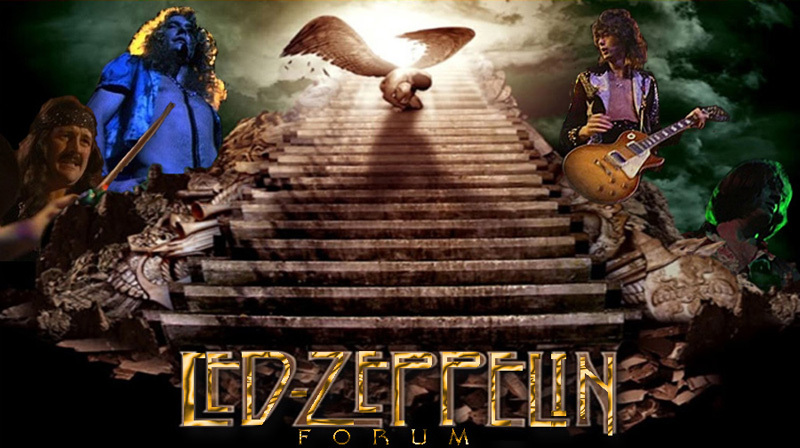 Beyond the live music, side 4 of the double LP features the 2010 Guitar & Vocal Mix of "Goodbye to Romance", along with the lost Randy Rhoads guitar solo "RR". In another first, the seven-inch vinyl live version of "Believer", taken from the "Ozzy Live" CD, will be issued as a special polka-dot picture disc, inspired by Randy Rhoads' famous polka dot guitar. The track is being released to honor the 30th anniversary (March 19) of Randy`s passing. Despite all the drama, most of the original line-up of Black Sabbath reunited last week for a homecoming performance in Birmingham, England. However, due to guitarist Tony Iommi‘s ongoing battle with lymphoma, much of the band’s other plans have been put on hold, with only two more shows left: at the UK Download Festival in June, and Lollapalooza Festival in Chicago in August. In the meantime, Ozzy Osbourne wants to rock, so he and his band are hitting the road in Europe and taking on the schedule that would have been Sabbath’s. Billed as Ozzy Osbourne & Friends, these shows will feature several ‘special guests’ that, according to Blabbermouth, will include Sabbath band mate Geezer Butler, longtime Ozzy partner in crime, Zakk Wylde and old friend Slash. Other guests will pop up here and there on different dates. The first date of the tour, Wednesday, May 23 in Finland, featured both Geezer and Zakk with a set list that included fan favorites from the Ozzy solo years as well as a few choice Sabbath numbers. The tour, which wraps up in early July, will take the band from Sweden, Denmark, Norway, Germany, Spain, France…you name it! Though plans are still in place for Sabbath to record a new album, the time table will depend on Iommi’s health. Jack, âgé de 26 ans est atteint d'une sclérose multiple. Speaking to Hello! Magazine, Osbourne explained that a frightening episode in which he lost most of the vision in one eye sent him to the hospital, where tests revealed his condition. Although quite naturally dealing with feelings of anger and sadness — “I kept thinking, ‘why now?’” — Osbourne is determined to maintain a positive outlook. His plan to fight the disease will include drug treatment, holistic therapies and lifestyle changes. Multiple sclerosis is an incurable autoimmune disease that attacks the brain and central nervous system. The effects differ with each person, ranging from minor problems to serious disabilities, with most people falling in between. Ozzy was due to take the stage after Black Label Society at the SAP Arena in Mannheim, Germany on Wednesday but the crowd were advised that he wouldn't be able to perform because of an unidentified problem with his voice. The concert is one of the several that were scheduled as make-up dates under the Ozzy Osbourne & Friends banner when the Black Sabbath reunion tour was cancelled due to Tony Iommi's cancer battle. There is no word on whether any other dates on the tour are affected. Jack vient de révéler lors d'un talk show qu'il entrevoyait une solution à sa sclérose multiple sans pour autant préciser laquelle. "-Alors, vous écoutez beaucoup Justin Bieber ? -Mais putain, c'est qui Justin Bieber ? " Voici deux cartes expédiées à ses parents durant son séjour en novembre 1969 à l'hôtel Hirschen à Zurich. THE PEOPLE LIKE LONG HAIR. Je suis bien arrivé ici (à Zurich) mais ce n'est pas un très bel endroit. Je ne pense pas que les gens aiment ceux qui ont des cheveux longs. Nous commencerons à jouer demain après-midi de 15h jusqu'à 19h. Mis à part le fait que je me sente bien, n'oubliez pas de noter que nous passerons à la radio samedi prochain. J'espère qu'Iris et le bébé vont bien. Je tâcherai d'appeler Jean pour mon (?) anniversaire [peut-être a t-il voulu dire pour son anniversaire à elle ? ]. A bientôt. Affectueusement. John. Je m'amuse bien mais il ne fait pas très beau. Les gens non plus ne sont pas très sympas. Je ne pense pas qu'ils aiment les gens aux cheveux longs. Hier soir, nous sommes sortis pour essayer de trouver quelque chose à manger mais partout où nous allions, ils ont refusé de nous servir. A bientôt. John. C’est avec une certaine fébrilité, de l’excitation et de l’émotion que je m’attelais à la lecture de la première biographie française parue sur l’une des plus grandes Star du Rock de tous les temps : Ozzy Osbourne. Véritable légende vivante, John Michael Osbourne, de son vrai nom, est l’un de ces monstres sacrés ayant marqué de son sceau légendaire le Heavy Metal pour l’éternité. Partageant au même titre que l’auteur une fascination et une admiration sans borne pour l’homme, le chanteur et l’entertainer qu’est Ozzy, il était tant qu’une vraie biographie à la fois complète, objective, rigoureuse, détaillée et fouillée rende le plus bel hommage au Prince des Ténèbres. Car Ozzy Osbourne, en quelques mots c’est : plus de 100 millions d’albums vendus en l’espace de 35 ans de carrière, les célèbres festivals de Metal Ozzfest, des stades remplis à ras bord de fans déchainés lors de ces tournées gigantesques et démentielles, des découvertes de guitaristes hors pair (le regretté Randy Rhoads, Jake E Lee, Zakk Wylde..), le reality show The Osbournes, en bref, une figure incontournable et universelle pour tout aficionado de Heavy Metal ! OZZY OSBOURNE est certainement une personne à part, avec un destin hors du commun, jalonné comme bien souvent dans cette vie là d’orgies, de beuveries alcooliques et d’outrages divers et variés, tout à tour choquants, désopilants, émouvants ou dramatiques. Taxé de malade mental et longtemps poursuivi par les ligues moralisatrices castratrices américaines, Ozzy fut longtemps considéré persona non grata et ennemi N°1 aux Etats-Unis. Qu’à cela ne tienne, le fabuleux frontman a toujours fait fi de ces culs bénis et lorsque l’on jette un œil à sa carrière, sa discographie culte et fournie plaidant pour lui, l’aura et le respect qu’il occasionne dans le monde du Rock, on se rend compte que tout cela n’a que peu d’importance. Ozzy est ce qu’il est et le restera ! Tout y passe : de la vie misérable d’après guerre et ses répercussions désastreuses dans une Angleterre exsangue aux prémices du succès interplanétaire avec les dinosaures de BLACK SABBATH, pierre angulaire du Heavy metal, en passant par la carrière solo comblée et réussie de OZZY OSBOURNE, le Ozzfest, le programme télé The Osbournes, cinquante années d’une vie sont passées en revue pour nous brosser un portrait honnête, chaleureux et véridique mais non complaisant ni caricatural de l’artiste anglais multimilliardaire. L’auteur a véritablement fourni un énorme travail de recherches en s’appuyant sur des documents d’archives d’époque, sur des tonnes d’interviews, des discours du principal intéressé ainsi que ceux ayant collaboré avec lui, il ressort de ce magma et ce fourmillement d’informations une admiration et un respect sans faille pour le charismatique chanteur anglais. Comment ne pas rire et s’esclaffer aux provocations et aux exhortations perpétrées par le Prince des Ténèbres ? De multiples anecdotes, souvenirs, histoires nous sont comptées ainsi que la conception de tous les albums solo de Osbourne de 1980 à nos jours. On retiendra aussi le chapitre de sa collaboration artistique avec Randy Rhoads, un guitariste génial hors pair disparu trop tôt à l’aube de sa gloire, qui marquera Ozzy à tout jamais. Plutôt bien écrit et bien tourné, le modeste Jean-Charles Desgroux nous distille toute ses connaissances personnelles et recherches glanées au fil des années. Il nous brosse une autobiographie qui forte de ces 550 pages va droit au but et sait rester succincte. On flirterait presque avec l’hagiographie tant l’auteur nous peint une vision idéale de l’artiste anglais sans pour autant ne pas critiquer et pointer du doigt les trop nombreuses dérives, agitations et fanfaronnade du chanteur. Au rayon du moins bien, à mon sens, les traductions littérales de certains des albums ou de titres du répertoire de BLACK SABBATH ou de OZZY OSBOURNE dans le sommaire pour introduire un chapitre ne sont pas du plus bel effet ! Une fois traduit, cela perd de sa puissance et de son impact. Autres détails ayant leur importances et non des moindres, on trouvera en fin de lecture la discographie exhaustive et intégrale ainsi que la vidéographie totale de l’artiste de la perfide Albion. Toujours est-il que cette biographie, riche, ultra précise et technique ne saura que ravir les fans de ce grand Seigneur : Mister Ozzy Osbourne !! This show was filmed at Irvine Meadows Amphitheater in California on June 12, 1982 as part of the delayed continuation of the "Diary Of A Madman" tour following the tragic death of Randy Rhoads a few months earlier. The audio has been digitally restored and remastered and is now available in DTS and Dolby 5.1 Surround Sound for the first time. 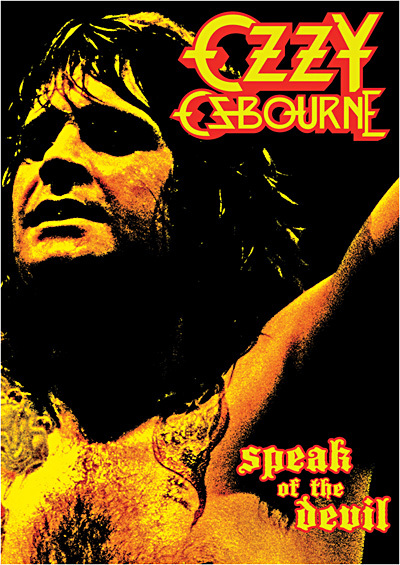 "Speak Of The Devil" includes the classics "Mr. Crowley", "Over The Mountain", "Crazy Train", "Flying High Again", "Iron Man", "Paranoid", "Goodbye To Romance" and many more. Ozzy Osbourne a été élu Président du Heavy Metal !!!!!!!!! The record label boss who discovered Black Sabbath has launched a campaign to have Birmingham Airport named after singer Ozzy Osbourne.